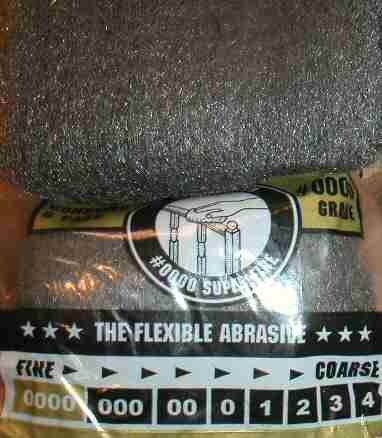 This is "0000" steel wool. It is available at most hardware, paint, and home improvement stores. Note the "#0000 Superfine" designation in the circle. This is the finest (smoothest) polishing tool easily available. You may want to try other, coarser grades to determine which is best for you.